The Home app gives all your HomeKit accessories a default icon whenever you add them. Did you know, there are other icons you can choose from? Check out this quick tip in our hands-on video. Now all accessory types have multiple icons. Sensors, fans, and many others are all locked in to only a single option. There are two primary accessories that give you options to choose between. The first are outlets. An outlet could be one of three things. A plain outlet, a light, or a fan. When you choose what type of device it is, it will update with the appropriate icon. The fan is especially cool as this icon is actually animated. When the fan is on, it rotates, and when off, it loses its color and sits motionless. The second type of icon that can be changed is a light. There are so many different types of lights in one’s home, so Apple gives you four choices to choose between. A bulb (which is the default), a floor lamp, a ceiling mounted lamp, and a table lamp. 1) 3D Touch on a light accessory in the Home app, and tap Details in the bottom right corner. 2) Now tap where you see the icon, highlighted by a yellow border. 3) Choose your new icon. These icons do a decent job of representing most types of lights in one’s home, though they aren’t completely inclusive. Right now, icons are limited, though there is clearly some configurability available for those who want it. In the future, there are two things I’d like to see. First, more icon choices for other accessory types. Fans could be ceiling or freestanding fans. Contact sensors could be on doors or windows. Secondly, it would be great to perhaps add new icons yourself. Or allow third party apps to include their own that could appear in the Home app. Just by changing up the icons for the lights you have already makes it quicker and easier to see the light you are looking for when in the Home app. 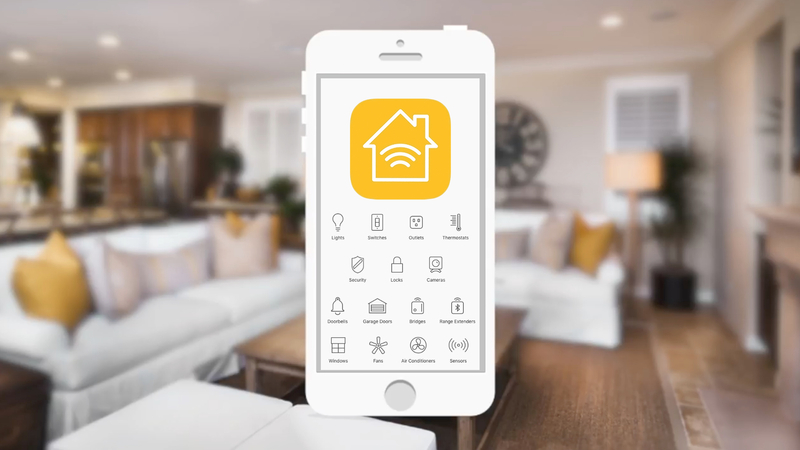 If you are interested in more HomeKit tips, be sure to check out our new series on HomeKit automation!